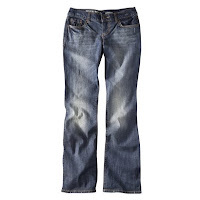 Mossimo Jeans: BOGO Free = $8 Each + FREE Shipping! Today only at Target.com, Mossimo jeans are BOGO free, making them just $8.00 each! Plus, they ship for free! NOTE: Sizes are limited and once they're gone, they're gone!